and focuses on the last of the steps we usually take with our customers who migrate to the Cloud. Now we will focus more on getting the peace of mind while the workloads are running on Azure. While your solutions are running in Azure, is there anything you should be doing for your peace of mind? The simple answer is while the Cloud offers us a lot of technology which makes IT operations much easier, especially under the Platform as a Service (PaaS) and Serverless offerings, it doesn’t mean that we don’t have to do anything anymore. During our interactions with large organizations that we’ve helped in the past years to migrate to the Microsoft Cloud (Azure and Microsoft 365), we have discovered the best practices needed for good maintenance. 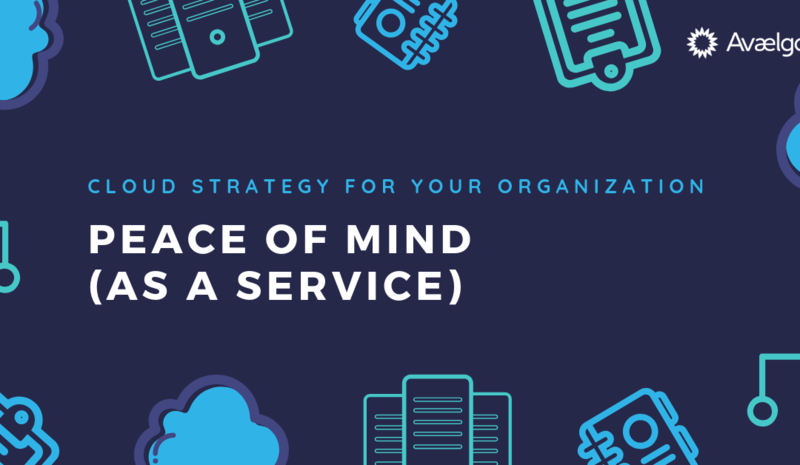 We have built those best practices in a set of services that we call “Peace of Mind (as a Service)” that include proactive and reactive measures. And in this article, I will discuss the proactive actions we usually take. The reactive actions I am referring to are the usual SLA-based support activities any managed services provider, or IT team already knows about. Further on, we will explore a few of them. There isn’t much to say here since the title is quite self-explanatory. What is worth mentioning is that there are specific techniques and tools related to authentication and authorization in Azure and Microsoft 365, which should be used properly to get the maximum benefits in a lot of areas, not only security but also cost control and monitoring for example. This is how authorization on Azure resources, Resource Groups and Subscriptions should be done. One should make sure the right people or groups (from Azure Active Directory) have the right access to the right grouping of resources. This can have a tremendous impact not only on security, but also on resources’ organization (avoiding chaos, like a person without the right access being able to delete a resource), and cost control (restricting people which should not be able to create resources in a certain Subscription). Enforce some conditional access policies, e.g. enforce MFA for some users. And this list is not an exhaustive one, but more like just a glimpse. A customer with an Office 365 tenant (domain) will have an associated Azure Active Directory, and an associated Azure tenant. The directory in Azure is the same as the directory in Office 365: Azure AD. All the other Office 365 services (Exchange Online, SharePoint Online, etc.) are using Azure AD for authentication and authorization. An Azure Subscription is usually a cost center or part of a cost center (in a larger grouping of Subscriptions). There is also a way to group more Subscriptions in a Management Group, for even better organization. Why is this grouping of resources relevant? Because you can apply your governance conditions, for example using Azure Policies, at the scope that you choose: at a Management Group, or Subscription, or Resource Group. An example would be to limit the types of VMs that can be created in a Management Group (a collection of Subscriptions). Or to limit the VMs in a Subscription to a specific Azure region. Usually, a Resource Group contains the resources with together make up a solution (with the exception of course when a solution uses resources that might be shared with other resources). Type of resources, for example, resources used for testing, or by a certain user. So cost control is crucial, especially in a pay-as-you-go type of Azure consumption. And it starts with proper allocation and grouping of resources. Setting up Policies like allowed VM types or resource types in general. They can be applied per Resource Group, Subscription, or Management Group. When a costly (you define what costly means for you) resource is created. Showing orphaned resources – in combination with some custom code done with Azure Functions or Azure Automation. This is a very typical cost drain: expensive resources which are not being used anymore. Or you can define cost/budget related alerts, such as when you’ve reached a spending limit, per resource group or per resource type. You can easily define autoscaling rules, so the infrastructure needed by your solution scales up or down, exactly as needed. Autoscaling can be applied easily (from the Portal or through scripting) for many compute resources (VM Scale Sets, Web Apps, etc. ), or with some custom work, you can do it for other resource types like SQL Database or CosmosDB. 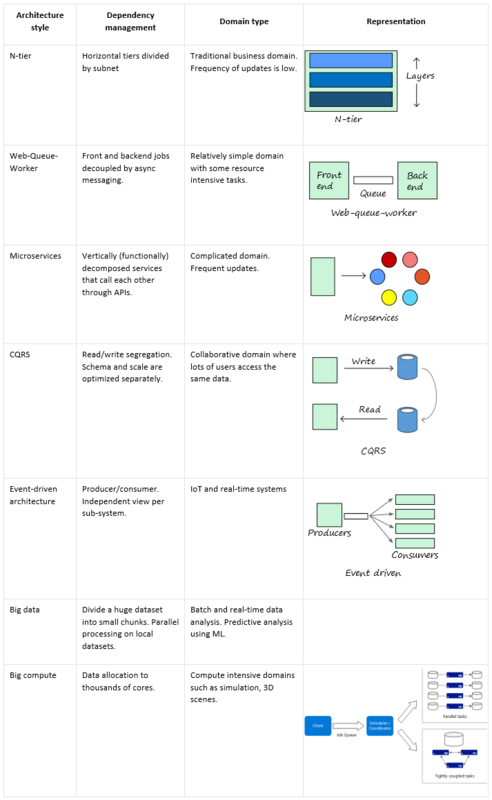 Managing workloads in Microsoft Cloud is done differently than on-premises. 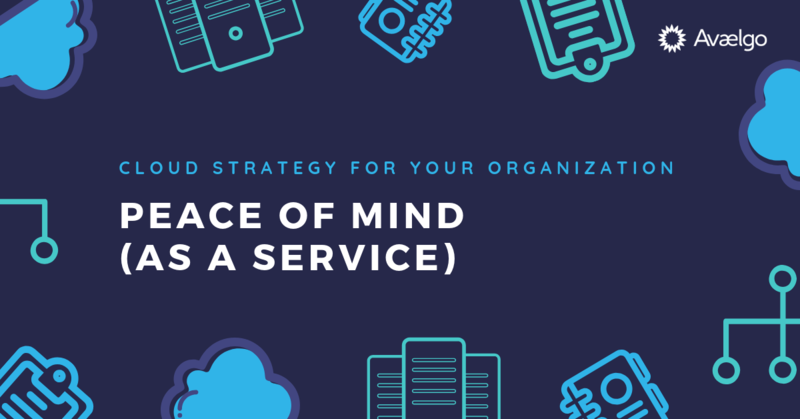 There are proven ways and best practices for Managed Services on top of the Microsoft Cloud, and while developing our Peace-of-Mind service offerings we made sure we incorporate pretty much all of them. For more information about our services around these technologies, browse our website. For more in-person, in-depth information about this particular topic, you can register for free at for the next edition of our annual Cloud Conference. If you are interested to explore more on this topic, Mihai talks about how should companies approach Cloud and the best way to migrate the workloads to PaaS in a video series available here. 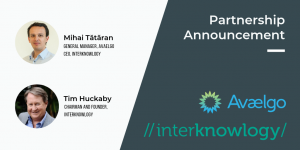 Mihai TATARAN is the General Manager of Avaelgo and CEO of InterKnowlogy. He is also Microsoft Regional Director, Microsoft MVP on Microsoft Azure, Microsoft Azure Insider, and Microsoft Certified Professional. Mihai has been teaching Microsoft technologies courses to software companies in Romania and abroad, being invited by Microsoft Romania to deliver many such trainings for their customers. 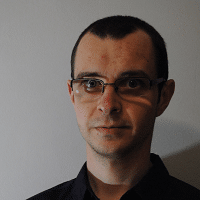 Mihai has very good experience with large audiences at international conferences: DevReach in Bulgaria, Codecamp Macedonia; TechEd North America 2011, 2012 and 2013 – speaker and Technical Learning Center (Ask the Experts), Windows AzureConf. He is also the co-organizer for the ITCamp conference in Romania. This is a continuation of the first article in the “Cloud Strategy for Your Organization” series and focuses on another of the steps we usually take with our customers who migrate to the Cloud. 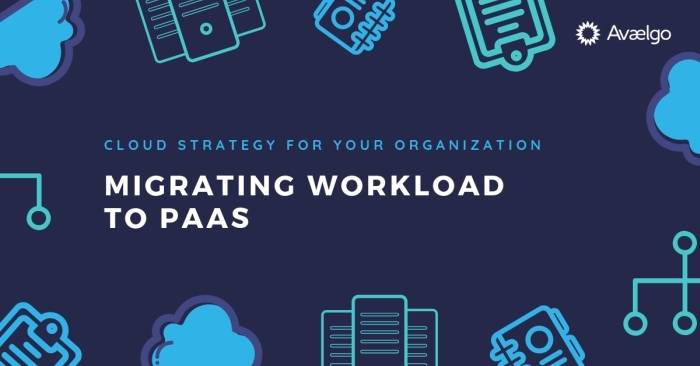 Some of the considerations described in the “Lift and Shift to the Cloud” article apply to PaaS migrations as well, even though they are more focused on general Lift-and-Shift scenarios. Here we will focus more on the most important architectural decisions one has to make when either migrating an application to Azure PaaS, or creating a new application for Azure PaaS. You don’t need to manage and support Virtual Machines. You simply use services provided by Azure. Better Disaster Recovery mechanisms, since all these services in Azure already have DR incorporated by design. Higher availability. The typical PaaS service uptime in Azure is 99.99%, reaching 99.999% in some cases. Lower cost with Azure: PaaS services are usually cheaper than their equivalent in IaaS (which would be VMs running a piece of software). Access to technology: access to Artificial Intelligence, Machine Learning, Big Data. Watch a video (in Romanian) where Mihai talks about the cloud strategy and migrating workloads in PaaS, as a follow-up to this article. The great thing about the Cloud in general and Microsoft Azure, in particular, is that it provides many options for everything you want to achieve. 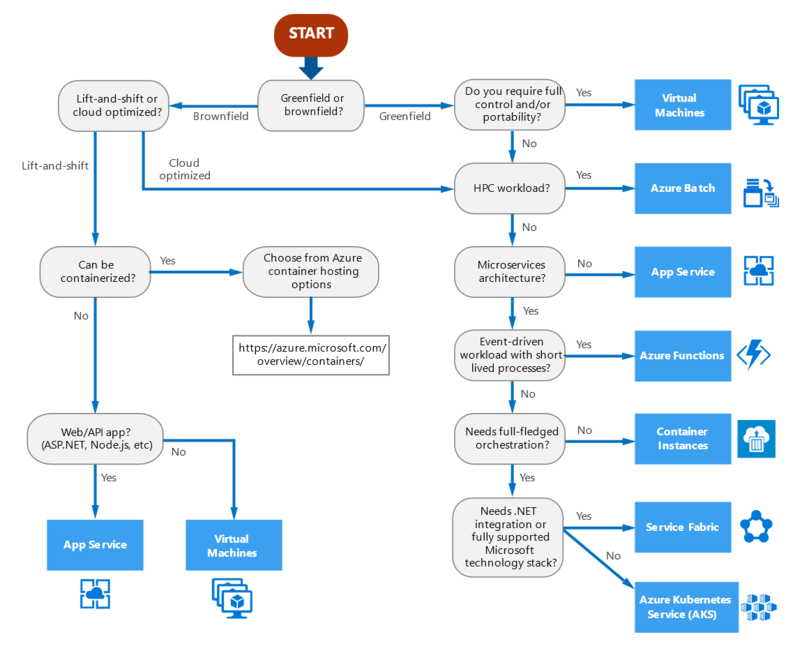 For example, there are at least 4-5 options to host an application or run code in Azure PaaS: Cloud Services, App Service, Service Fabric, Functions, Logic Apps, etc. What is great with many options is that you have very granular features designed for very specific needs, but the penalty is that you really need to understand them very well, otherwise you might make very bad architectural decisions with costly consequences down the line. What kind of architecture does my application have (if it is an existing application and I just need to migrate it to Azure), or what kind of architecture does my application need. What is the best Azure PaaS option for my application to run on. The first thing you need to do is make sure you understand in what major category does your application fall into. Migrating to or designing new applications for Azure PaaS has tremendous advantages, but it also means we need to think differently. There are many other aspects you need to decide upon and here are just a few examples. Let’s say your application is multi-tenant, meaning you have more than 1 customer accessing your application. Each customer might access your solution via a specific URL (e.g. : https://customer1.application.com, https://customer2.application.com, etc. ), or it might simply be the same URL for everyone. The first question we need to ask is if it makes sense or not to have a single deployment for all customers or not, considering the simplified scenario that all customers have the exact same version of the application (the same code base). 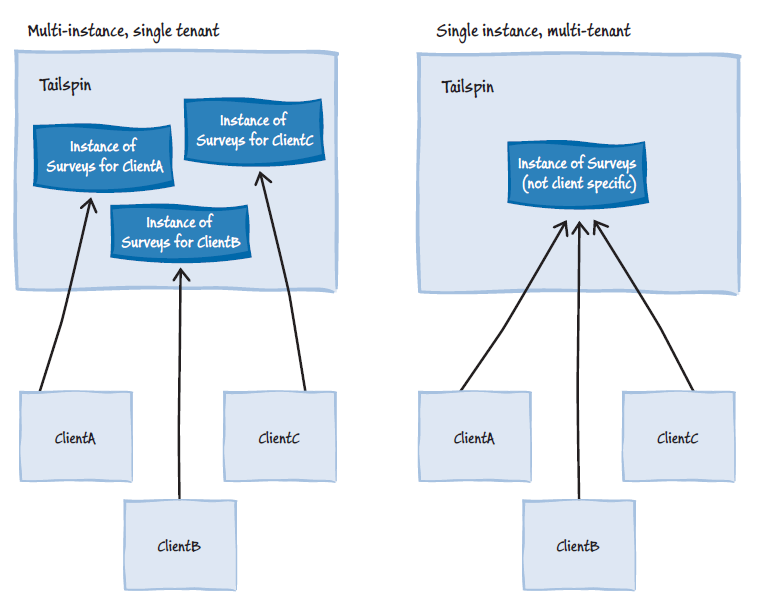 The right-hand side of the picture describes a single deployment for all customers. Here is why it seems logical to do it: you only must maintain one single application, one version of deployment, for all customers. It appears to be cheaper, easier, straightforward! Or is it? Here is another way to look at it: what if you have different customers with different expectations regarding uptime and performance? What if, to make it simple, you have some Free / Basic customers (who don’t pay for your solution) and you have some Premium customers (who pay and expect a high quality of service – QoS)? Obviously, if you have one deployment for all customers, in order to offer the QoS needed for Premium customers you end up offering it to everyone. And maybe 80% of resources’ needs come from the Free customers. So, a more pragmatic approach is to consider the non-functional aspects of your solution, the QoS needed by different categories of customers, and maybe it makes more sense to separate them into different deployments by category. One deployment for Free / Basic customers, one deployment for Premium customers. And then you can allocate more resources only for Premium customers, you can configure that solution to autoscale, etc. If you start using PaaS functionalities – like SQL Database, Storage, Service Bus, etc. – you need to understand a basic concept: they are offered from a shared environment, and that can cause some unexpected behaviors sometimes. We call these situations “transient faults”, errors which happen because of the environment where our service resides, they have nothing to do with our code, and they will automatically disappear. A specific example of a transient fault is: when another Azure customer using SQL Database from the same physical infrastructure as our SQL Database service, is triggering a query which brings (momentarily) the CPU to 100% – in this case, for a very short time, our queries or commands to our SQL Database will result in a SQL error. The Azure Fabric, of course, resolves the problem very fast, but there is a short time window within which we can have errors which have nothing to do with our application but the environment. What you must do is design your application code for such events, meaning the code should expect some types of errors or exceptions, which clearly identify transient faults, and act accordingly. One way to tackle this situation is a pattern called Retry Policy, and there is already a framework created for it, called Transient Fault Handling Application Block. Migrating to or designing new applications for Azure PaaS has tremendous advantages, but it also means we need to think differently: we must understand the Azure services better, what they do and what are their limitations, and in the case of applications’ migration we need to rearchitect or change some small parts of the code. If you are interested to explore more on this topic, Mihai talks about the cloud strategy and migrating workloads in PaaS in a video available here. 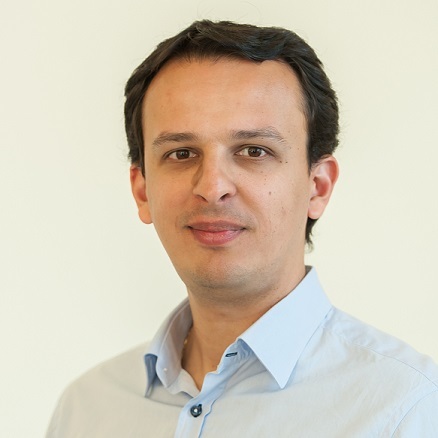 Mihai TATARAN, Microsoft Azure MVP, is the General Manager of Avaelgo, and Microsoft Regional Director, Microsoft MVP on Microsoft Azure, Microsoft Azure Insider, and Microsoft Certified Professional. Mihai has been teaching Microsoft technologies courses to software companies in Romania and abroad, being invited by Microsoft Romania to deliver many such trainings for their customers. Mihai has very good experience with large audiences at international conferences: DevReach in Bulgaria, Codecamp Macedonia; TechEd North America 2011, 2012 and 2013 – speaker and Technical Learning Center (Ask the Experts), Windows AzureConf. He is also the co-organizer for the ITCamp conference in Romania. We are going to focus on the very first step, just before actually moving to the Cloud. Standard: most of the small and medium organizations can be approached in a standardized way. While nothing is really standard in the IT Services world, we have some common methodologies created for similar projects. 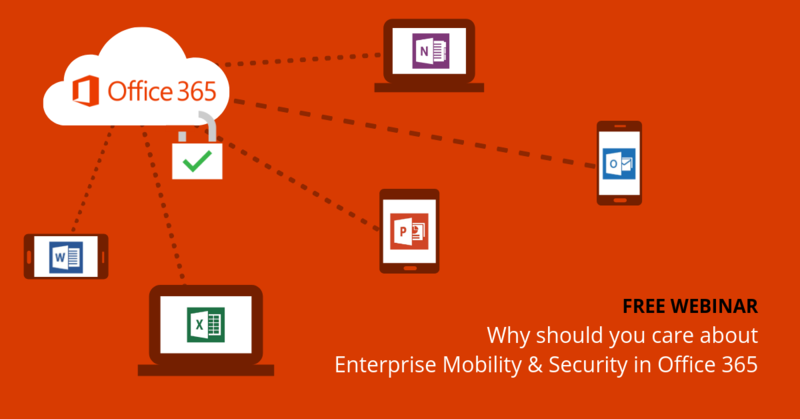 One example would be migrating to Office 365. There are differences from customer to the customer: they might currently use Exchange Server on premises (maybe 2010 or maybe 2006), they might use a Zimbra email server, they might have the server on-premises or hosted at a co-location provider, etc. 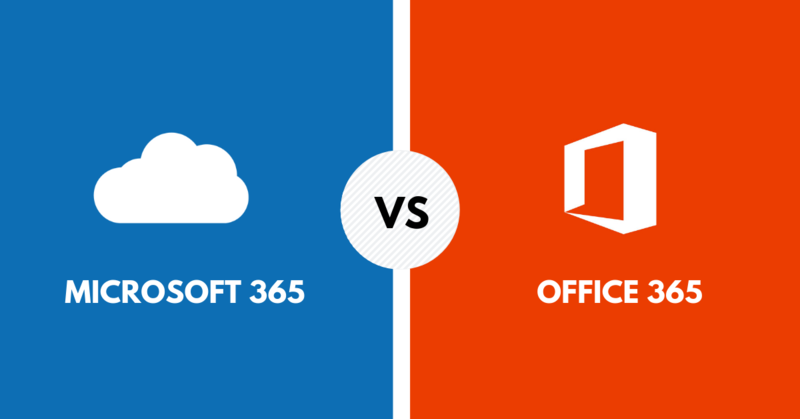 But there are some common steps and a common methodology to migrate that customer to Office 365: email server, documents and much more. The same can be applied to projects involving migration to Microsoft Azure, and in the end, our customers benefit from the “Peace Of Mind” standard services suite that we are offering. 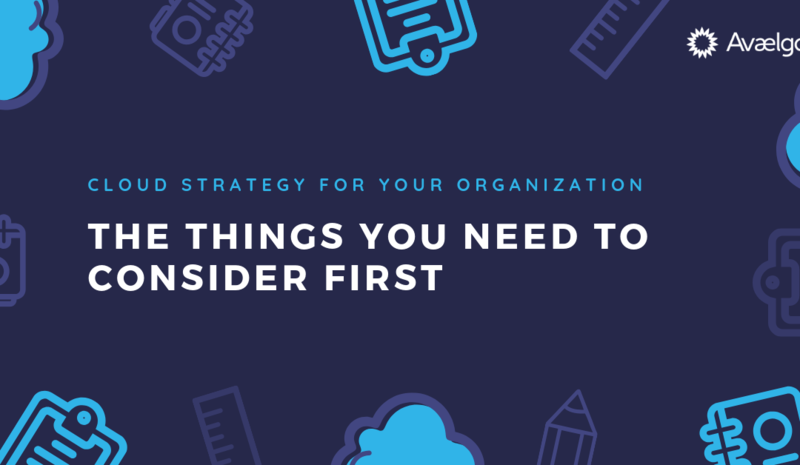 The rest of this article is focused on complex projects or organizations, where we typically don’t only talk about migrating a solution, but a suite of solutions with interdependencies and sometimes the whole IT of that organization. 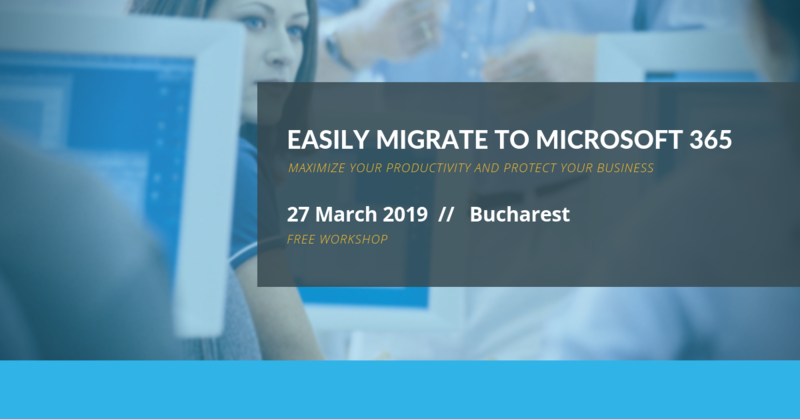 Watch a video (in Romanian) where Mihai talks about the cloud strategy and how to start approaching the migration into the Cloud, as a follow-up to this article. There can be many drivers toward such a move and here is a short list. DevTest: machines for testing, staging, etc. – which don’t need to run 24/7 but a mere few hours per day. On/Off operations, e.g. : salary calculation, 3D rendering, etc. – operations which require computational power a few days per month or a few hours per day. This is another reason for the Cloud, and here is an article on this very subject. Technologies like: Big Data, Machine Learning, Artificial Intelligence, etc. – are very expensive or simply cannot be installed and managed on-premises because of the complexity they imply. The Cloud is great also because it gives access to such amazing technologies to everyone, in a pay-per-use cost model. If you are a greenfield investment or a startup your entire IT infrastructure can be operational in a matter of days. Your email, documents sharing, collaboration tools, your invoicing application, your CRM, your ERP, etc. – all of them can be provisioned easily and fast in the Cloud, without the need to acquire any IT equipment except for employees’ laptops, tablets, and smartphones. We should not see the Cloud as just another location for some servers. If we only see it like that, we fail to optimize the Cloud usage. It is an IT project, but before starting any actual IT work we should consider a few aspects. Migrating an organization or a set of solutions to the Cloud is not a simple, risk-free project. It takes time, usually months or years, and it impacts many more departments than IT. Is there a consolidated infrastructure? Is there a common identity mechanism for all users? Are there multiple identities, Single-Sign-On, Federation mechanisms in place? Are current workloads virtualized, or are they running directly on physical machines? Which virtualization technology is being used? Is the customer already using the Cloud? From which providers? If using Azure, which kind of contract (pay as you go / Enterprise Agreement / CSP)? The current state analysis needs to be augmented with envisioning what IT could do for the business if it had the tools. Another key attribute of the Cloud is that it delivers technology which does not exist or is very expensive to have on premises. Aspects like: Big Data, Machine Learning, Artificial Intelligence are such examples, and in this phase, we should discuss with the customer what could be done for the business. Or even simpler than that: you might need a machine with huge computational power or a new piece of software that the company just bought. In the Cloud, provisioning such machines with tens of cores and hundreds of GB of RAM (or even TB of RAM) takes minutes. What is the preferred payment strategy? Does the client need a pay-per-use type of contract or a capital multi-year investment? Both are possible, with advantages on each side, and the decision to choose one over the other depends very much on the specifics of every customer. Some roles within the IT department will need to change. There will be new technologies, new mechanisms to be operated and supported, so a skill upgrade needs to be done. Before that, there is also a paradigm shift: we should not see the Cloud as just another location for some servers. If we only see it like that, we fail to optimize the Cloud usage. In that respect, the IT personnel from the customer needs to go through a mindset transformation before acquiring the specific technical skills needed for the Cloud. Roles within the project team must be clearly identified: the customer must understand what their role is, and what is expected from his team before, during and after the migration project. Especially from top management, but also from all department/business unit leaders who are using the IT systems which will move to the Cloud. A strategy is needed for how the users will be impacted by this change, and what we need to do to help them. 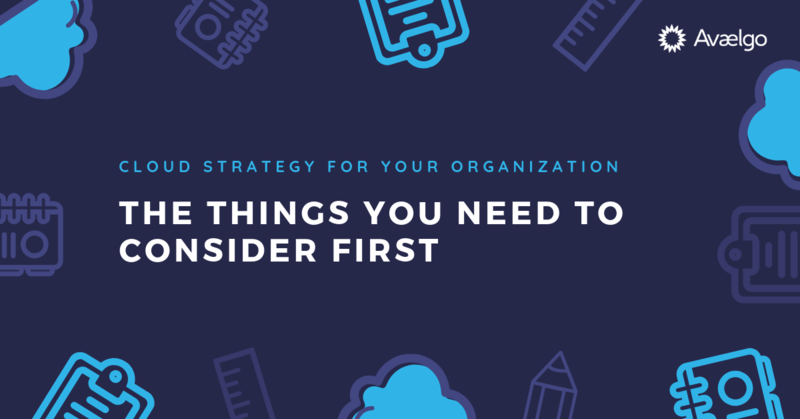 The easiest way to get the client’s organization buy-in we found is to start with a pilot or a simple and quick project which delivers immediate benefits, within the first months of the whole program. This article described just the first step of a Cloud migration program for an organization. There are multiple steps, that will cover in the upcoming weeks. While others are optional, many of them are essential. In the next article, you’ll find out what you need to know about migrating workloads to PaaS. If you are interested to explore more on this topic, Mihai talks about the cloud strategy and the things you need to consider before actually starting the migration into the Cloud in a video available here. Last time, I tried to brief some of the steps you need to cover before starting to choose the tools that will help you achieve compliance. Let’s dig a little deeper by using some real-life negative examples that I ran into during this faze. Case 1. The insufficiently authenticated channel. Disclosure disclaimer: following examples are real. I have chosen to anonymize the data about the bank in this article, although I have no obligation whatsoever to do so. I could disclose the full information to you per request. Of course, I complained to the bank. I was asking them to inform me how they’ve got my personal data, asking them to delete it, and so on. Boring. Let me brief it for you: It said that I am a client of the bank, that I have a current account, where the account was opened. Oh, but that is not all. They have also given me a copy of the original contract I supposedly signed. And a copy of the personal data processing document that I also signed and provided to them. With the full-blown personal data. I mean full blown: name, national id numbers, address, etc. One problem though: That data was not mine, it was some other guy’s data that had one additional middle name. A thus, a miracle data leak was born. It is small, but it can grow if you nurture it right. Well, in short, the guy filled in my e-mail address and nobody checked it, not him, not the bank, nobody. You imagine the rest. 1. Now, in the 21st century, is it so hard to authenticate a channel of communication with a person? 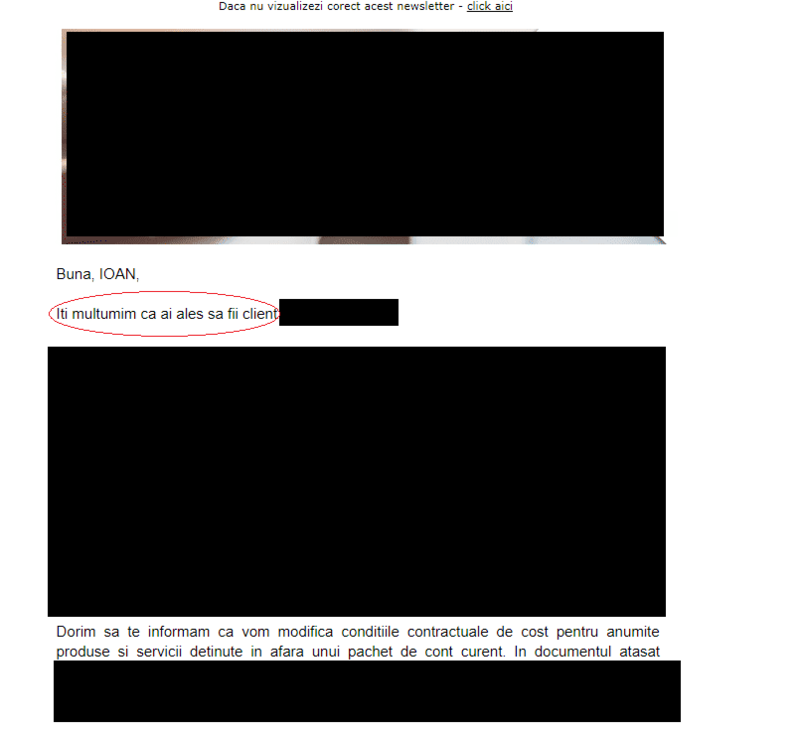 Is it so difficult to implement a solution for e-mail confirmation based on some contract id? Is it, really? We could do it for you, bank. Really. We’ll make it integrated with whatever systems you have. Just please, do it yourselves or ask for some help. 2. 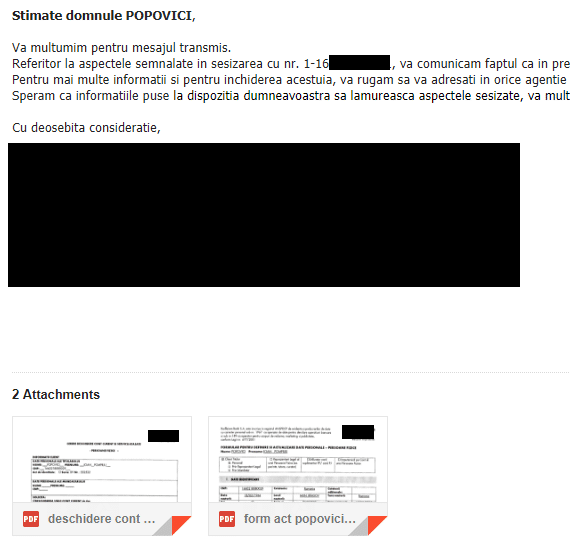 Naturally, privacy was 100% absent from the process of answering my complaint, even though I made a privacy complaint. Is privacy totally missing from all your processes? In the end, this is an excellent example of poor legislative compliance, with zero security involved, I mean ZERO security. They have some poor legal compliance: there is a separate document asking for personal data and asking for permission to process it. The document was held, and it was accessible (ok, it was too accessible). They have answered my complaint even though it was not in a timely compliant manner. 0. Have a good privacy program. A global one. 2. When you choose tools, make sure they can support your privacy program. 3. Don’t be afraid to customize the process or the tools. We (and, to be honest, anybody in the business) could easily give you a quote for an authentication/authorization solution of your communication channels with any client. I am sure you can already see for yourself how this is useful in the context of choosing tools that will help you organize your conference event, and still maintain its privacy compliance. 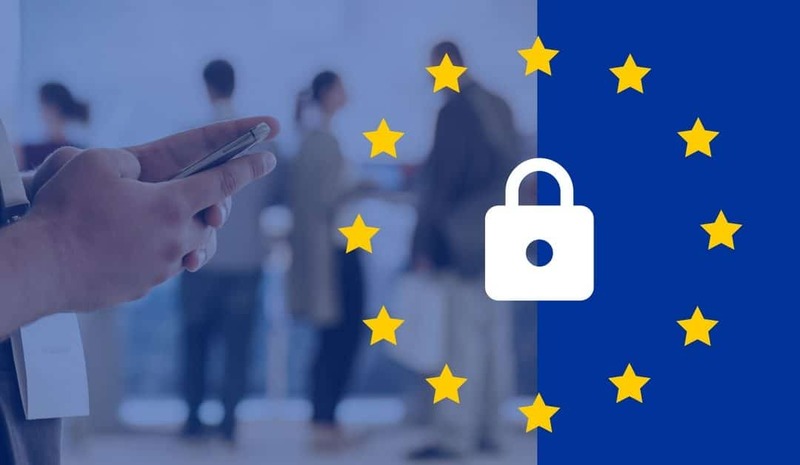 I am starting a series of articles in which I will try to cover my experience in managing privacy and GDPR compliance for several IT related conference events that we handle here at Avaelgo. During this journey, I will also touch some in-depth security aspects, so stay tuned for that. As I am sure you know already, a conference is a place where people gather, get informed, do networking (business or personal), have fun, and who knows what other stuff they may be doing. The critical aspect here is that for such a conference to be successful, you need to have a fair amount of people being part of it. Moreover, since people are persons, well, that also means a fair amount of personal data. There’s a lot to cover, but we will start with the basics. If this is the first time you are organizing such a conference, then you already have a head start: you do not have to change anything. If not, then you must begin by reviewing the processes that you already have in place. 1. How do people get to know about your event? It is essential to know how exactly you are going to market your event. The marketing step is crucial, and itself must be compliant with the regulation. This is a slightly separate topic, but it cannot be overlooked. It does not matter that you will market yourself to participants, speakers, or companies. Personal data is still going to be involved. 2. How are people going to register for your event? 3. How are speakers going to onboard your event? Same situation as above, but it may be that there is a different set of tools for a different workflow. 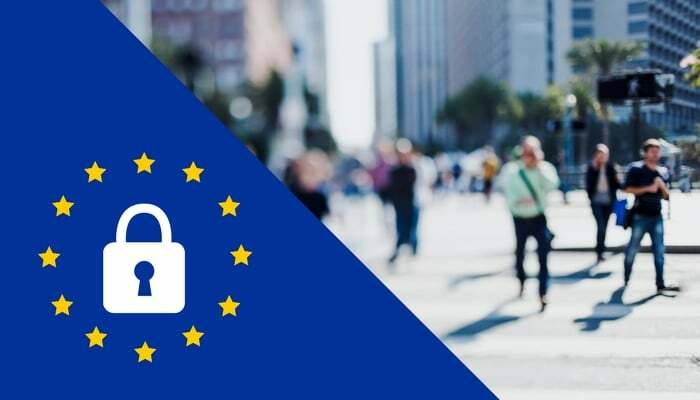 Workshop gratuit de GDPR in Timisoara, in data de 27 martie. 4. How are you going to verify the identity of the participants? Is someone going to be manually verifying attendance and compare ID card names with a list? Is there going to be a tool? Is there a backup plan? 5. Do you handle housing, traveling for speakers or participants? If yes, you will probably need to transfer some data to some hotels, airlines, taxies, etc. 6. Do you have sponsors? Do they require some privilege regarding the data of the participants? This aspect is a big one, as I am sure you know, some or all of the entities that collaborate on your conference will require some perks back from your event. It may be that they are interested in recruitment, marketing, or some other kind of activities on the personal data of your participants. Trade carefully, everything must be transparent. Workshop gratuit de GDPR in Cluj-Napoca, in data de 27 martie. 7. Will you get external help? Companies/volunteers/software tools and services that will help you with different aspects of organizing the event? What are they going to do for you? If they touch personal data, it is probably good to know before you give it away to them. 8. Are there going to be promotions and contests? Usually, these are treated separately, and onboarding to this kind of activities will be handled independently, but still, it is a good idea to know beforehand if you intend to do this. As you can already imagine, this is not all, but we will anyway cover each topic from here in future articles, and then, probably, extend to some more. All of this may look scary, and it might seem to involve a lot of work, but that isn’t the case. In the end, by trying to tackle personal privacy beforehand, you also get, as a happy byproduct, a cool fingerprint of what you need to do to have a successful event. Cheers to that! A future article will come soon, covering the next steps. I am sure you can already guess what those are. See you soon! 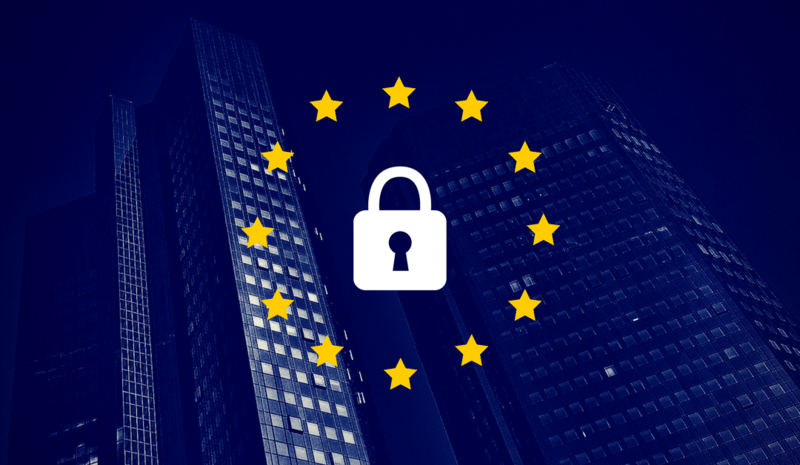 If you want to find out more about GDPR, how it affects your events, company etc. you can register to our free webinars in Timisoara and Cluj-Napoca.